In order to “more fully persuade” others to “believe in the Lord their Redeemer,” Nephi selected, commented on, and likened the prophecies of Isaiah to his life and ministry, for the profit and learning of his family and future readers (1 Nephi 19:23). Besides likening Isaiah, Nephi also incorporated the testimony of his brother Jacob concerning the coming of Jesus Christ into his narrative exposition on the nature of Christ and his gospel. Together these prophets constitute three separate yet unified voices in the Book of Mormon to satisfy God’s law of witnesses (cf. Deuteronomy 19:15). Together these early witnesses of Christ in the Book of Mormon paint a theology of anticipation, inviting even those who lived before Jesus’ advent to accept the gospel. Elder Holland identifies a number of interrelated doctrines expounded on by each of these prophets, including the key points of the doctrine of Christ, hope in Christ’s atonement and resurrection, and the atonement’s redemptive power. Joseph M. Spencer, An Other Testament: On Typology (Provo, UT: Neal A. Maxwell Institute for Religious Scholarship, 2016), 49–52. Jeffrey R. Holland, “‘More Fully Persuaded’: Isaiah’s Witness of Christ’s Ministry,” in Isaiah in the Book of Mormon, ed. Donald W. Parry and John W. Welch (Provo, UT: FARMS, 1998), 1–18. Jeffrey R. Holland, Christ and the New Covenant (Salt Lake City, UT: Deseret Book, 1997). 1. Jeffrey R. Holland, Christ and the New Covenant (Salt Lake City, UT: Deseret Book, 1997), 34. 2. Holland, Christ and the New Covenant, 95. 3. Holland, Christ and the New Covenant, 35. 4. Holland, Christ and the New Covenant, 35. 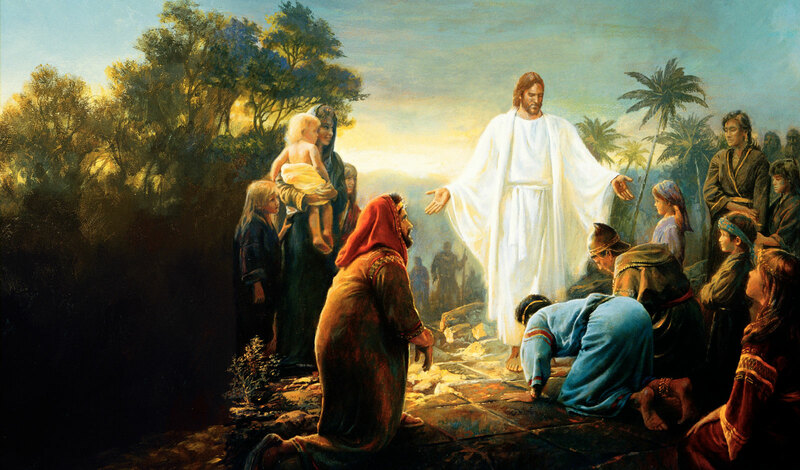 Compare Elder Holland's comments here with the observation by Joseph M. Spencer that links the three witnesses (Nephi, Isaiah, Jacob) with the angelic council associated with the temple and creation. Joseph M. Spencer, An Other Testament: On Typology (Provo, UT: Neal A. Maxwell Institute for Religious Scholarship, 2016), 49–52. 5. Holland, Christ and the New Covenant, 75. 6. Holland, Christ and the New Covenant, 36.